i have one growing in 18 inch pot, it was slow to establish, when i bought it it was around 3 feet and now after two years it has grown to more than 7 feet and spreading speedily, i still have to train it. Is this vine suitable for isb/Pindi region? Shazia Khurram wrote: Is this vine suitable for isb/Pindi region? 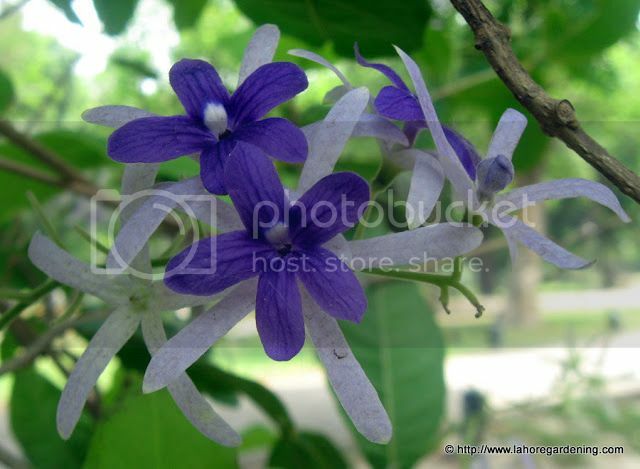 I am not sure that Petrea will survive the cold weather of Islamabad. Summer should be fine.